Malaysia is a well-known country with multiracial heritage namely Malay, Chinese and Indian. These groups of Malaysian Indians are descended from those who migrated from southern India during British colonization in Malaya before 1957 independence. Malaysian Indian roots are obvious in northern Kedah state, Bujang Valley. 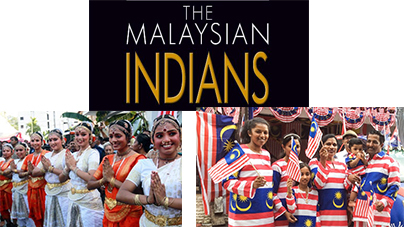 Malaysia has recorded a total of 1.8 million people of Indian descent currently. However, many Indians argued that they feel like third-class citizens in the country since the political system is controlled mostly by Malays as well as Chinese. Considering that race has always been a big divide among the populations in Malaysia, the fourth and former Prime Minister, Tun Dr Mahathir Mohamad has taken numerous measures to uplift the economics difference among the races since British colonization. For example, Malays were given more opportunities to venture into the once-Chinese dominated business sector. As a result, Chinese lose out their business shares as part of it went to Malays. But perhaps, Chinese were not much affected as Indians were the losers in the political revamp. Since the early days, Indians were imported from their home country to work in rubber plantations and tin mines. Today, they are still at the bottom of the hierarchy. That statement was acquired from Selvakumaran Ramachandran, an Indian-Malaysian academician under United Nations Development Program. He said that large numbers of Indians possess neither political nor economic leverage. Thus, most of them are still in the cycle of poverty inherited from the previous generations. Indians in Malaysia has recorded the lowest share of nation’s corporate wealth and the highest rate of suicide in the society. It seems that Malaysian Indians were always the unlucky ones and has also been associated with immoral activities. With the highest rate of poverty, many turned to violent crime to survive in today’s cruel and harsh society. In 1994 alone, of the total 377 murders recorded nationwide, a total of 128 were committed by Indians. And in capital city, Kuala Lumpur, 15 percent of the Indians are squatters. When P Ramasamy, a political science professor at the National University said that if the situation continued to worsen, sooner or later, something is going to happen. And the prediction came true when Indians organized a rally or rather known as demonstration by HINDRAFT to voice out their dissatisfaction of government’s treatment against them. Malaysian Indians claimed that the government and also the Malaysian Indian Congress (MIC) are not helping the community to progress. According to some analysts, the problem is perhaps the small proportion of Indians in community. With less than a quarter of Malaysian population, Indians simply do not have enough resources and manpower to venture into pro-Malay business. While Chinese are notable for having ambitious and aggressive political leaders, Indians have one and only leader, S Samy Vellu over two decades. Malaysian education system including the local university seats and scholarships to study aboard are based purely on racial quota system. Even if an Indian scholar managed to graduate with a degree, discrimination is still obvious whereby most excludes Indian from the employment list. Some concluded that perhaps, the weakest link in Malaysian unity is the lack of opportunities and voices for Indian community.